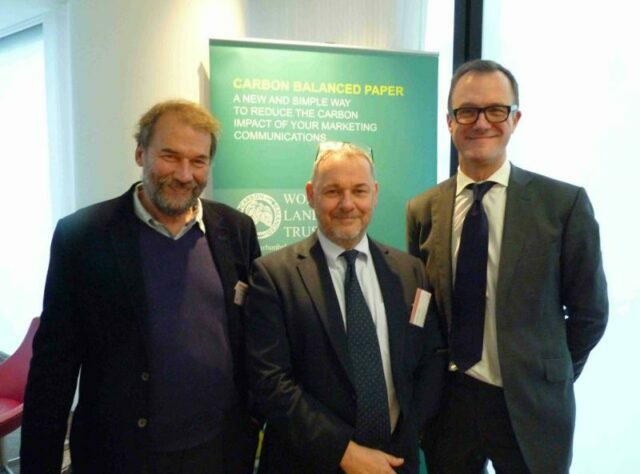 Representatives of the print and paper sector reconfirmed their support for Carbon Balanced Paper at a special event in London in December. 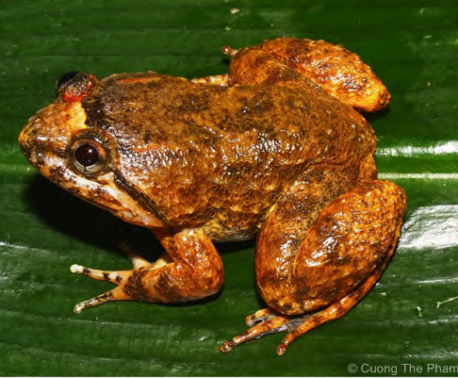 Carbon Balanced Paper offers a simple way for printers, paper makers and distributors to balance the carbon impact of the paper they use through conservation projects undertaken by World Land Trust (WLT). 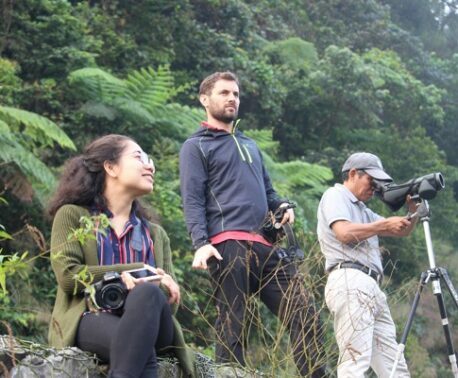 A new film about WLT’s Carbon Balanced programme was shown at the event, which was held at the London headquarters of PriceWaterhouseCoopers LLP. Carbon Balanced Paper is growing in popularity with printers and their customers. In its initial phase from 2012 to 2015, Carbon Balanced Paper was used by more than 350 printers in the UK who registered 12,000 individual Carbon Balanced print jobs on behalf of 2,500 different brands and organisations. The Carbon Balanced Paper initiative will now be administered by CarbonCO in partnership with WLT. At the event, Jonathan Tame, Director of CarbonCO confirmed a new and expanding network of partners and distributors for Carbon Balanced Paper. He announced three partners: paper merchants Antalis UK and Denmaur Independent Papers, and paper specialists Fedrigoni UK. He also highlighted Carbon Balanced Printers: Banbury Litho, Barnwell Print, Cross Print, Curtis Packaging, Healeys Printers, Kingfisher Press, NB Colour Print, Pinstripe Print, Potts Print, Resource and The Print Academy. Printers can use the Carbon Balanced Paper initiative in different ways. By working with CarbonCO’s partners, printers can ask for any product or individual paper order to be Carbon Balanced. Alternatively, they can buy from specific ranges which are already Carbon Balanced. Or, they can choose to balance any paper grades directly using a simple calculator on the Carbon Balanced Paper website. Printers that register a print job can use a unique Carbon Balanced Paper logo on that job, to clearly demonstrate their customers’ commitment to the environment. They can also request a certificate from WLT for their clients, highlighting the amount of CO2 that has been balanced and the area of land preserved as a result of their Carbon Balanced print job. The relaunch of Carbon Balanced Paper was held at the London headquarters of PriceWaterhouseCoopers LLP on 10 December 2015. The timing of the event was significant because it coincided with the international climate change talks in Paris (COP21).